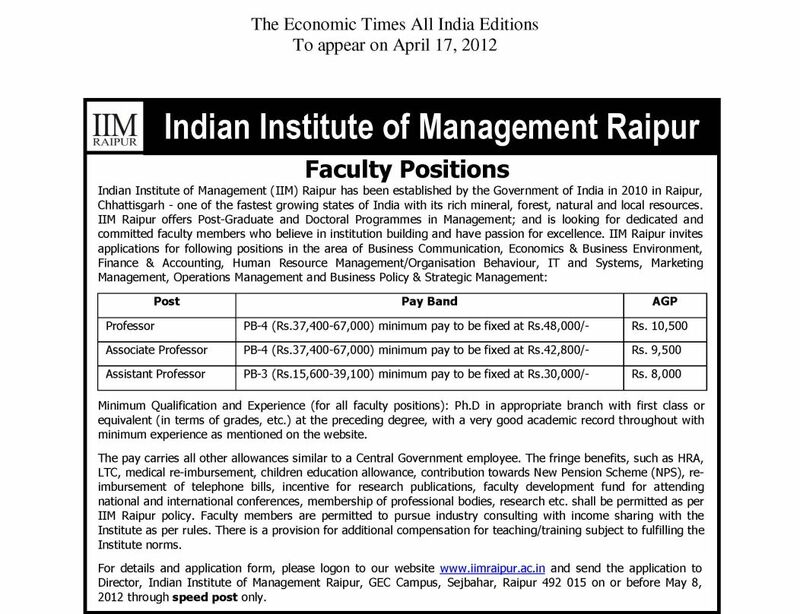 I hear that IIM Raipur has announced for recruiting the faculty if yes then tell me for which Post IIM Raipur recruiting. 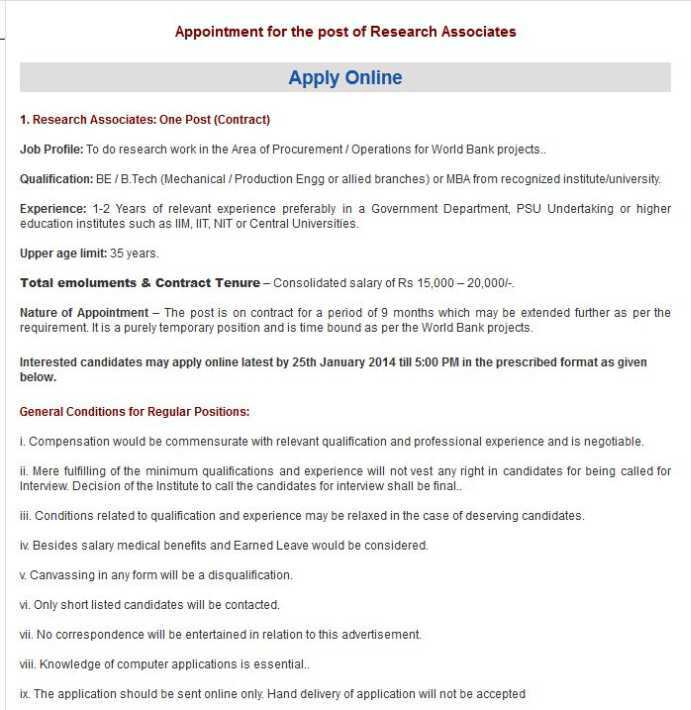 You could apply for the recruitment till 8th May 2012. I am giving the notification for your reference. Go through it. Last edited by shabnams; February 14th, 2014 at 10:54 AM. As you want to get information about recruitments for the post of faculty at IIM Raipur, so here I want to inform you that you will get details on the official website of the IIM Raipur. Here I am providing the procedure to provide details about recruitments at IIM Raipur. So firstly you have to visit the homepage of the official website of IIM Raipur. There is a link named â€˜Careerâ€™ in the top right side of the homepage. 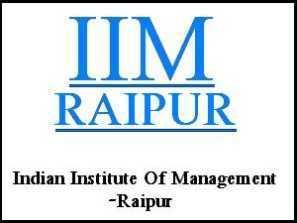 On this page, you will get all information about recruitments in IIM Raipur. Consolidated salary of Rs 15,000 â€“ 20,000/-.